Less Talk, More Action to Prevent the Diabetes Epidemic Getting Worse | Life, Sport and Diabetes - An everyday look at my life with type 1 diabetes. Monday 24th June 2013 saw the release of a report by the Welsh Assembly's Health and Social Care Committee, that focused on diabetes care in Wales or the lack there of as reviews of the report seem to suggest. Wales has a population of about 3 million people, 160,000 of those people already have diabetes. 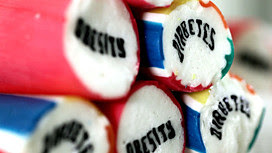 But it's also thought that there are a staggering 350,000 people who have what is known as pre-diabetes. Which is where your blood sugar levels are higher than normal. The normal range for someone without diabetes is between 4mmol - 7mmol and the range to aim for, for someone with the condition is between 4mmol and 10mmol. If somebody's blood sugars are sometimes straying outside of these normal ranges, then this is a warning sign! that diabetes could be on its way and the time to act is now. The committee apparently suggested that more people in Wales would become ill unless ministers took more of a lead on diabetes. Which is a worrying statement not just because it suggests that they're not acting fast enough. But because this is not a new topic for assembly members, I've been visiting the Welsh Assembly for the last couple of years trying to raise diabetes profile on their agenda in Wales. And as far back as 10 years ago the Welsh government published a 'Diabetes National Service Framework', which included topics regarding the reduction of diabetes diagnosis' for people with Type 2 and creating more support for those already diagnosed with the condition. In the newly released report it was suggested that the government needed to take a firmer hand on diabetes, services and provision. Interestingly it suggested that if someone with diabetes develops an unrelated health issue then it must be recognised and managed as part of their pre-exisiting condition. Which is partially correct, in my opinion because perhaps the point that's being missed is that diabetes is such a massive part of your health that it nearly always impacts on any other illness you have. So in fact the issue are not 'unrelated' at all. When you have diabetes and are ill with something else, at best it might effect your blood sugars. But at worst it could effect how your medication behaves and beyond. If you take the example of food poisoning- something that many people experience in their lifetime and seemingly unrelated to diabetes. However, when you consider that the condition requires carbohydrate to balance out the insulin. Having sickness and diarrhea will often put you in hospital. In my experience other illnesses always have dramatic effect on your blood sugars. The new report also mentioned that a more coordinated approach needs to be taken across the medical community. Perhaps most frighteningly was the description that education for newly diagnosed patients with diabetes, was 'patchy' at best. Getting diagnosed with diabetes is a frightening experience for a patient and they're family to face. Suddenly their thrust into this whirlwind of injections and medication, new diet and restrictions all which equate to a total upheaval in their lives. To describe the education they receive as patchy is not only frightening, but quite dangerous and in my opinion should be high on the list of priorities for change. It's estimated that complications caused by diabetes cost the Welsh NHS £500m every year. But this doesn't need to be the case, because if more people were made aware of the effects of staying undiagnosed with diabetes or the risks associated with not looking after yourself with the condition then it would save lives as well as money. The Independent article I was featured in during diabetes week, mentioned that in the UK up to 80% of cases of Type 2 diabetes could be avoided with a better diet, weight loss and exercise. Accepting diabetes as inevitable should not be an option for the government or patients. Hand on heart if I was given the opportunity before I was diagnosed with diabetes, at a chance to reverse it. I'd have done everything in my power to prevent it from happening. Because yes diabetes is manageable, but if you've got the option of living a long and healthy life without it why wouldn't you take it? But unfortunately people with Type 1 diabetes like myself don't get that opportunity, however some of the fortunate ones with Type 2 do. Diabetes UK Cymru's national director Dai Williams told the BBC that "the key thing here is the health boards need to take this seriously". Perhaps the fact that when a patient is admitted to hospital with "unrelated" problems is where the problem actually lies. As I mentioned earlier, diabetes can't help but effect you when you're ill. But if the two incidences aren't put together then it's difficult to become aware just of how much damage diabetes is doing to people. The health minister is now thought to be considering the report's recommendations in detail before responding. But I know from my own experiences that time is of the essence with diabetes, so don't wait for the condition to become complicated before doing something about it. Local pharmacies such as Lloyds offer a test for diabetes in-store and their website is full of helpful education and explanations about what you need to know about diabetes now. Take control of your future and if experiencing any of the symptoms- such as being tired all the time, losing wait and getting thinner, feeling thirsty and like you can't quench the thirst and going to the toilet too often then get tested and feel better sooner rather than later.